How gorgeous is this bra I bought when I was on holiday in Australia? My dad just got me another one in gold, they are so sparkly & pretty! Perfect for a low-cut top or blazer, or a sheer shirt! My favorite pair of heels right now! I couldn't help myself, I also got the silver version as well! 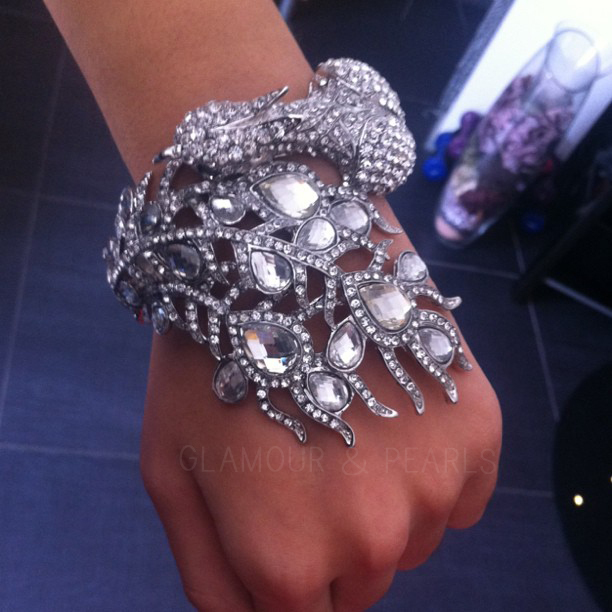 And finally - my new swarovski peacock bracelet, to go with my cocktail dresses! It's so stunning!